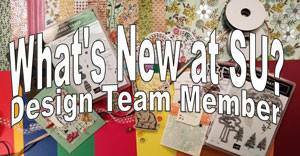 I love the colours that Amanda used in this week's As You See It Challenge #49 and I was excited to get started on it. It looks icy cool and mouthwatering, doesn't it? 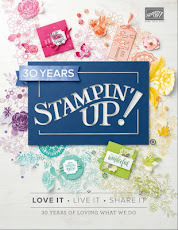 I thought it would be a perfect challenge for the new Cupcake Party stamp set that coordinates with the Cupcake Builder Punch. The trouble is, I don't have it yet. It's on my wishlist, but that didn't help me for this challenge. I kept it simple because of the big flowers and just added a sentiment from Yippee Skippee in the top right. I put three 5 1/2" x 4 1/4" sheets of cardstock through the Big Shot with the Flower Frenzy Bigz L die all at once: 1 sheet of Blackberry Bliss, one of Strawberry Slush and one of Very Vanilla - all very foody colours! Then I mixed and matched pieces until I created the three flowers you see. I used my bone folder to give the petals some shape and create interest with the 3D effects. Aaaannnndd, that's about it! 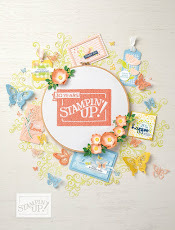 I have to say that I've used the Flower Frenzy Bigz L die several times since I got it in June and it is so useful for creating quick and cute embellishments for cards, gifts, boxes and other things as well. I feel that I have already got my money's worth from it! 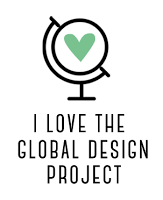 Check out these projects. 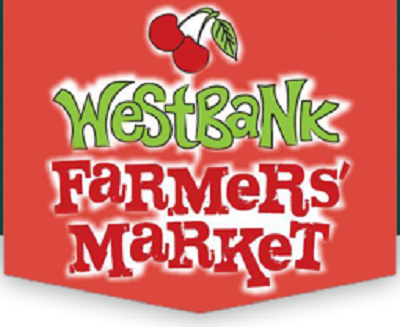 I will be setting up shop at the Westbank Farmer's Market on Saturday! I will have some great deals, great prizes and games, some retired products for sale as well as some kits and I am looking forward to meeting you! Come and say hello! 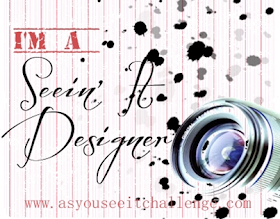 Have a great weekend, and I hope you will try this latest challenge from As You See It Challenges this week! Thanks for dropping by!